Introducing your new tech companion that you'll never want to leave home without! 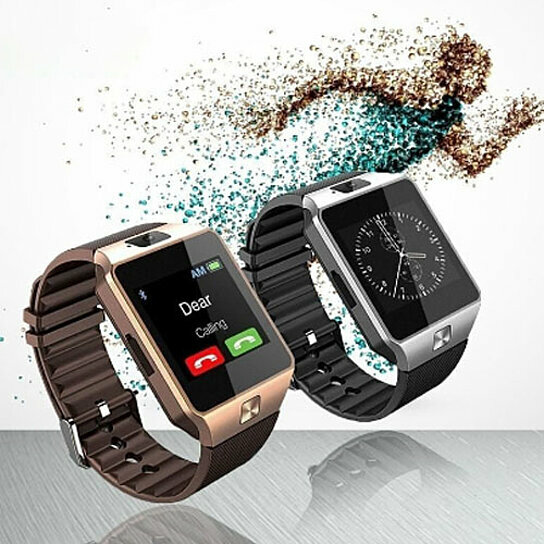 This Multifunctional Bluetooth Smartwatch offers a variety of functions to enhance your lifestyle. Once synchronized with your smartphone, it offers wireless calling capabilities, seamless access to your smartphone's music and media, and high definition photography with its camera function. All of these functions and more are right at your fingertips, all with a high-definition display and sleek, comfortable design. While the watch works with both Android and Apple iOS devices, there is no iOS app. iOS products work with the Smartwatch via Bluetooth. Some features such as push notifications and remote image capture are not available with iOS. See section 3.3 of the User Guide for more. Android devices connect with the BT Notifier app which is accessed by scanning the QR code on the watch with your phone. All features are available with Android devices. See section 3.2 of the User Guide for more.